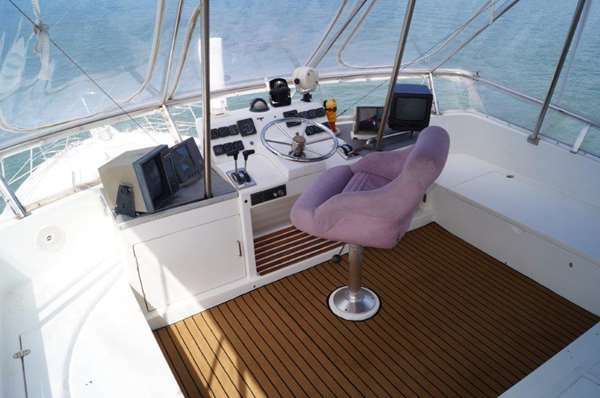 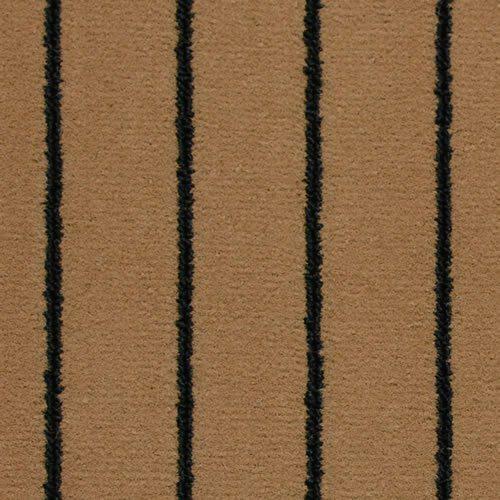 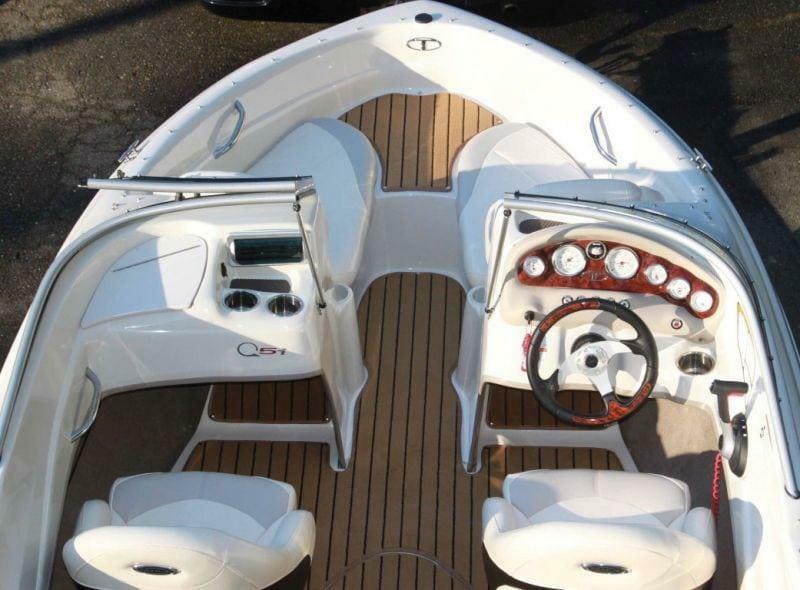 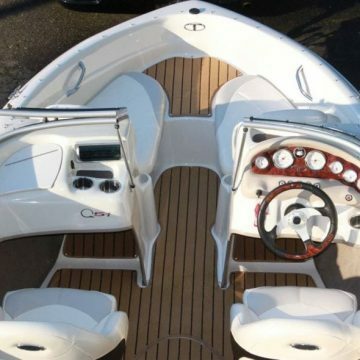 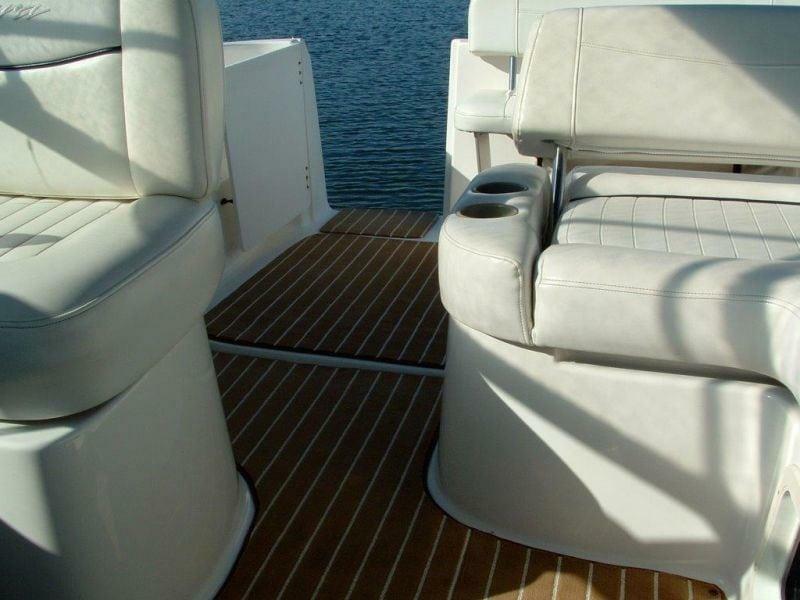 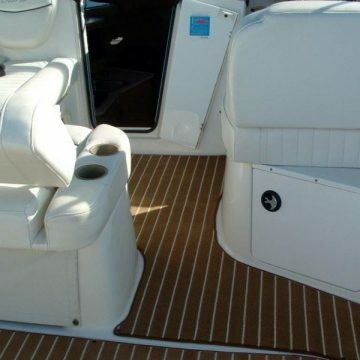 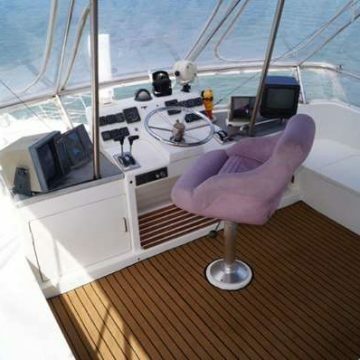 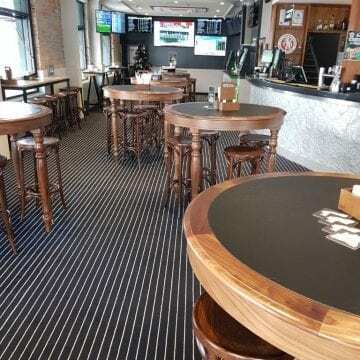 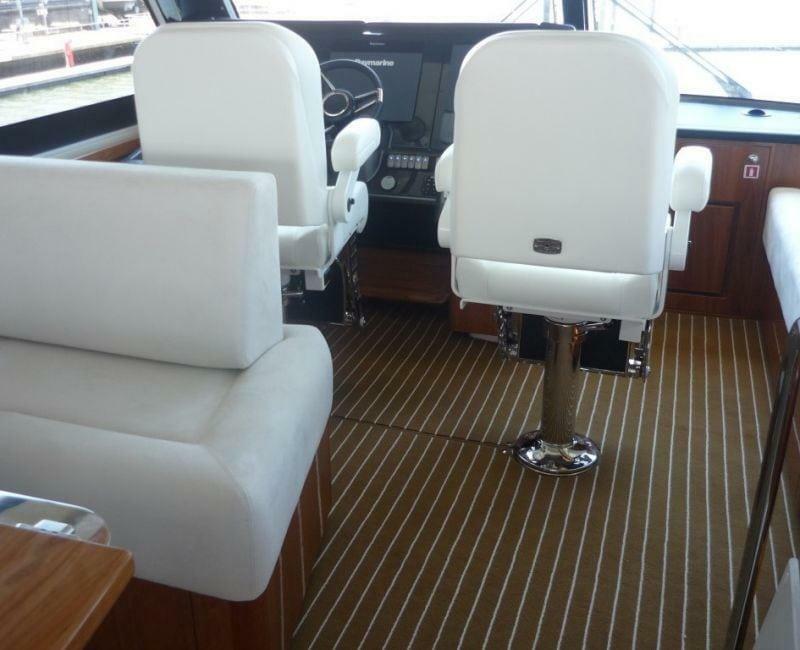 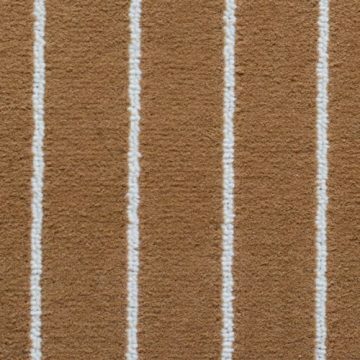 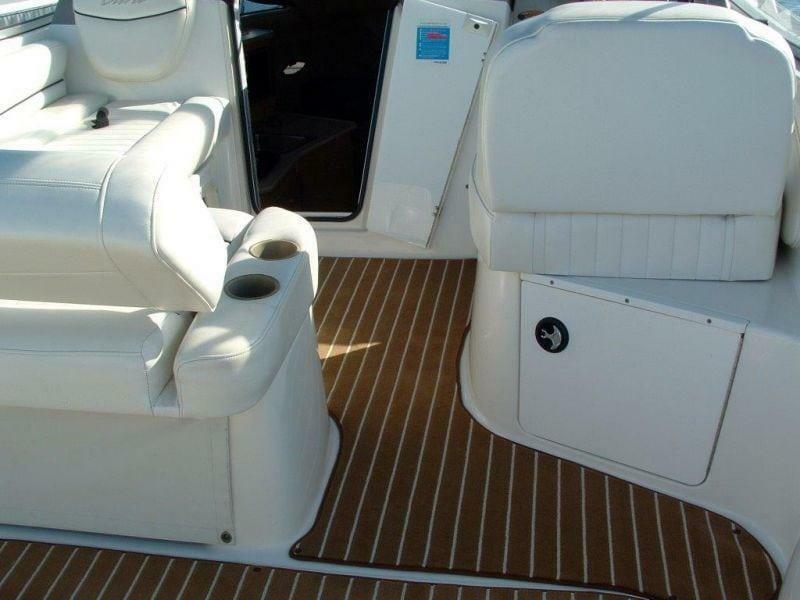 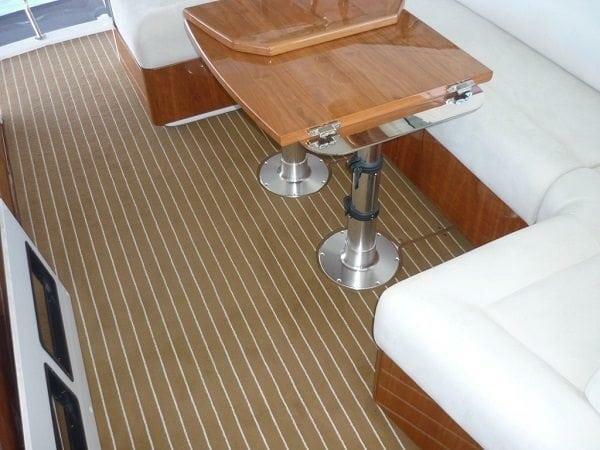 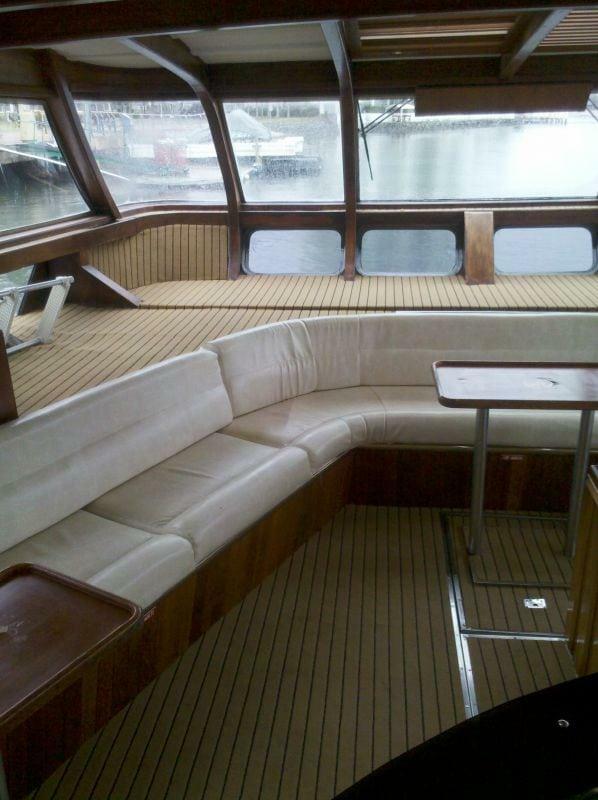 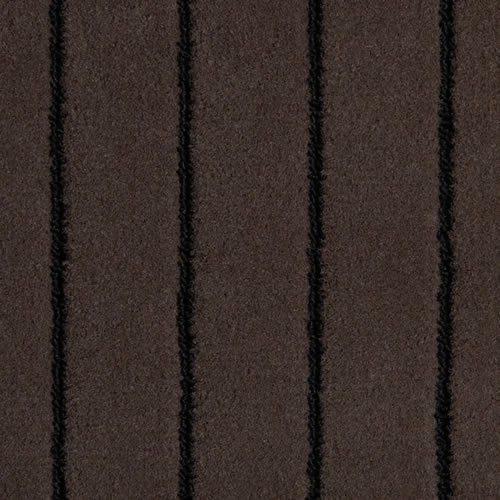 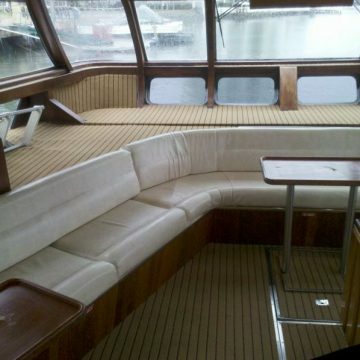 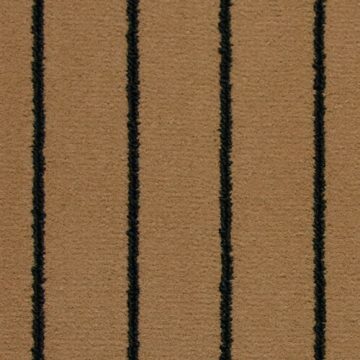 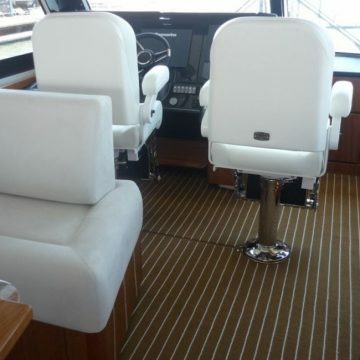 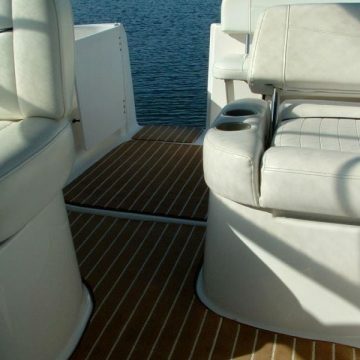 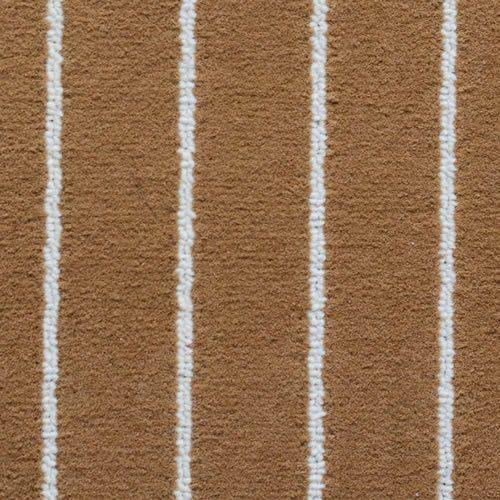 Marine Carpet Teak is a remarkably soft and comfortable boating carpet. 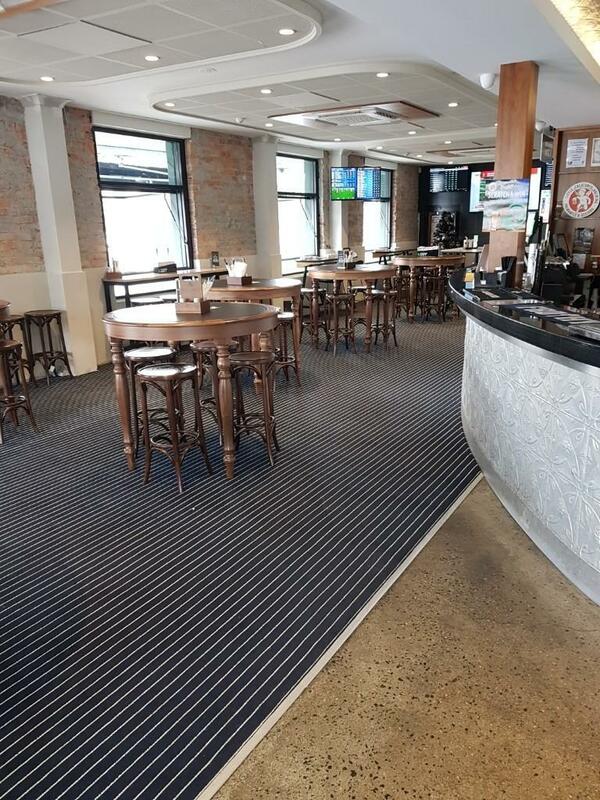 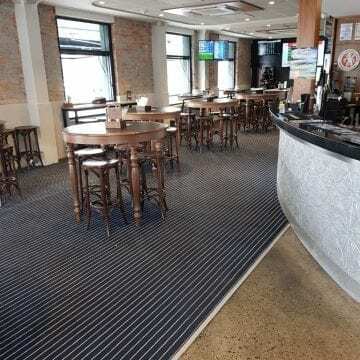 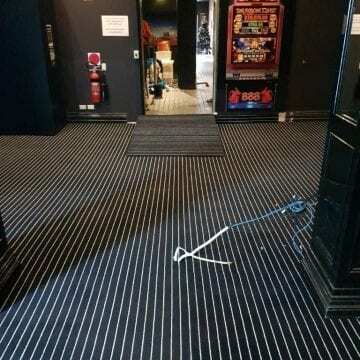 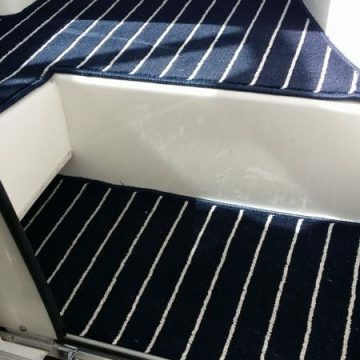 Ideal for people looking for a high-grade marine carpet. Suitable for any exterior or interior uses on all boat carpet flooring surfaces. 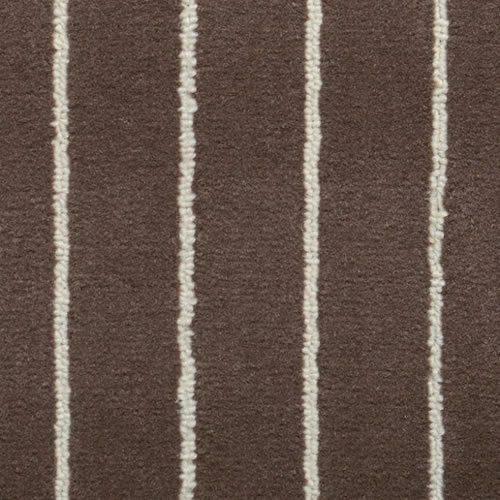 Designed with a modern and very stylish finish. 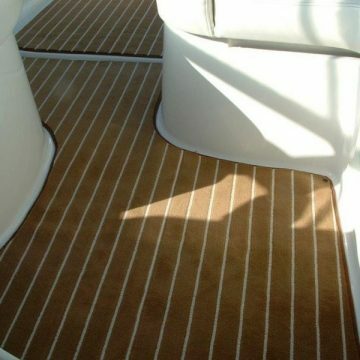 Widely used throughout the boating carpet industry. 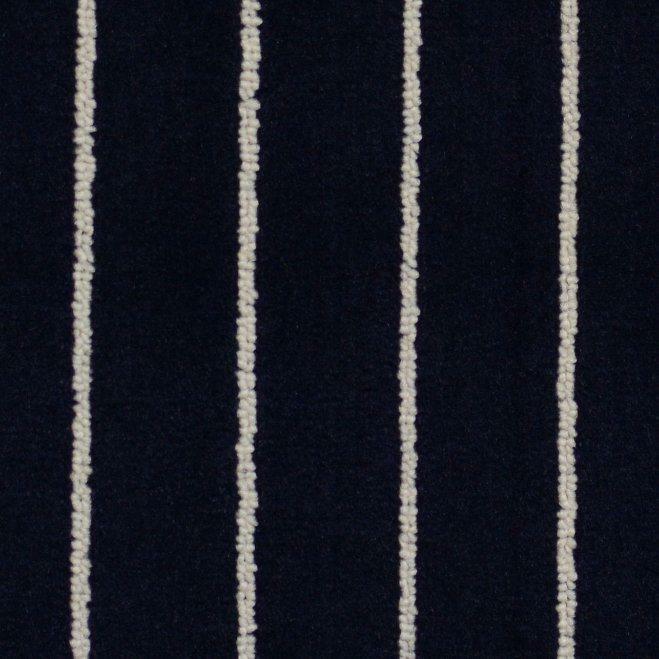 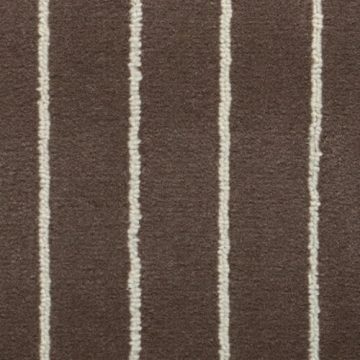 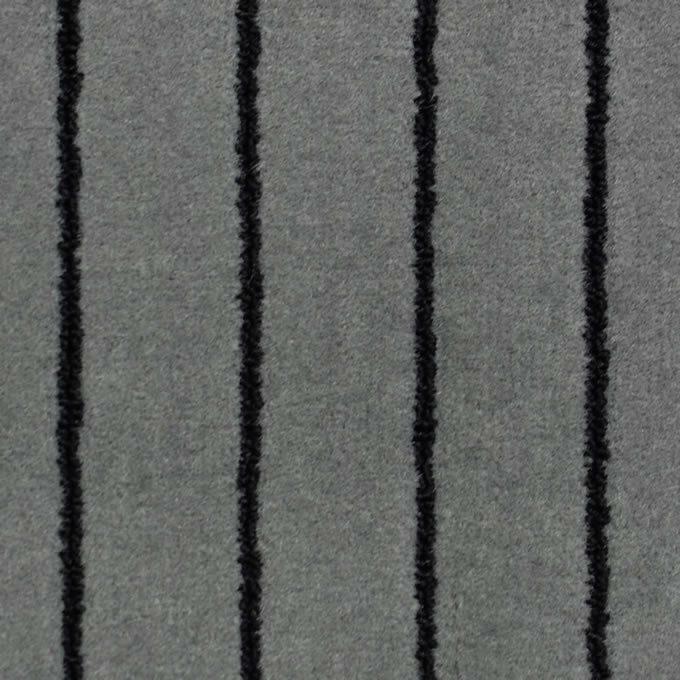 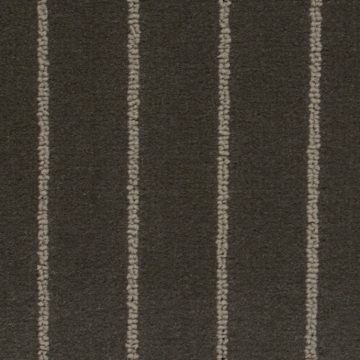 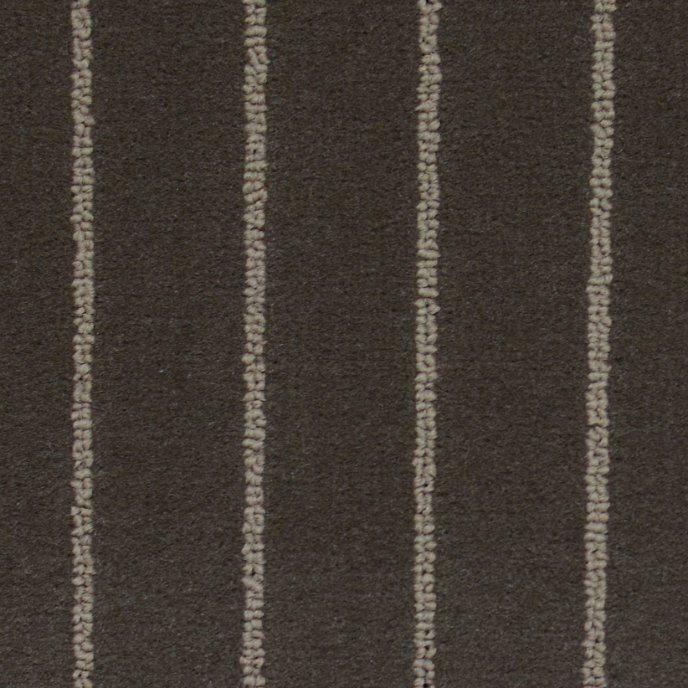 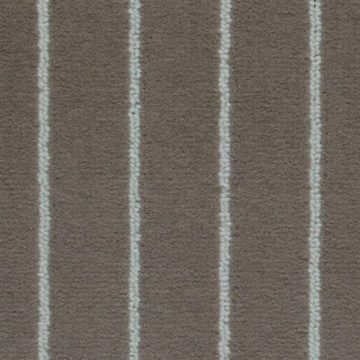 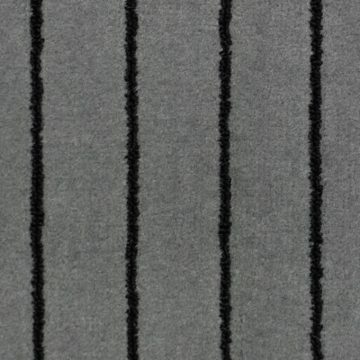 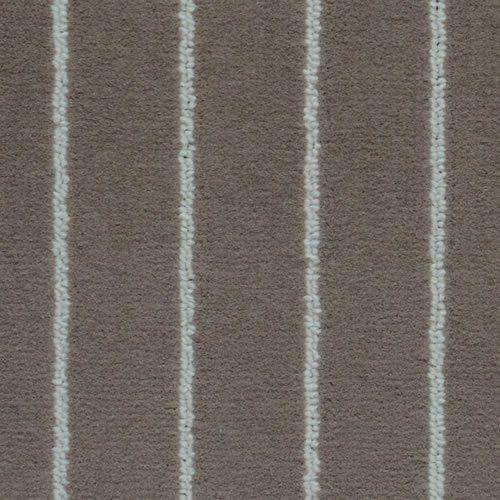 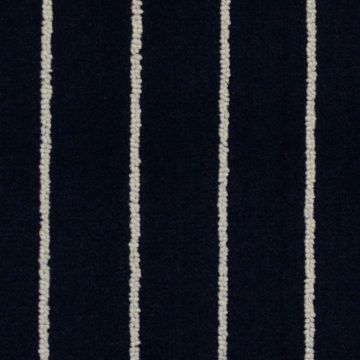 Available in 2 & 4 metre widths. 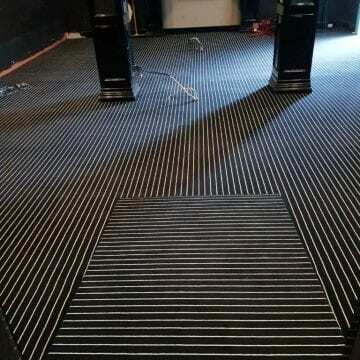 Loose laid or glued to the subfloor. 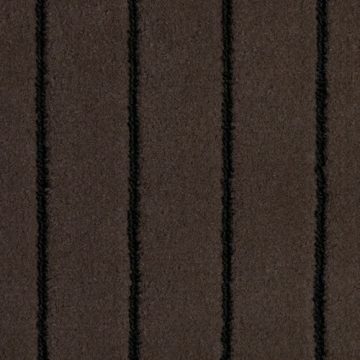 Primary backing is marine grade. 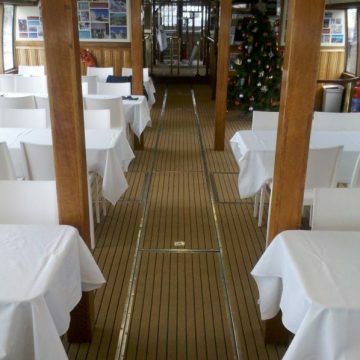 Inside boat cabins and living areas. 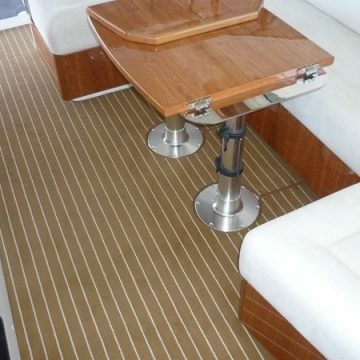 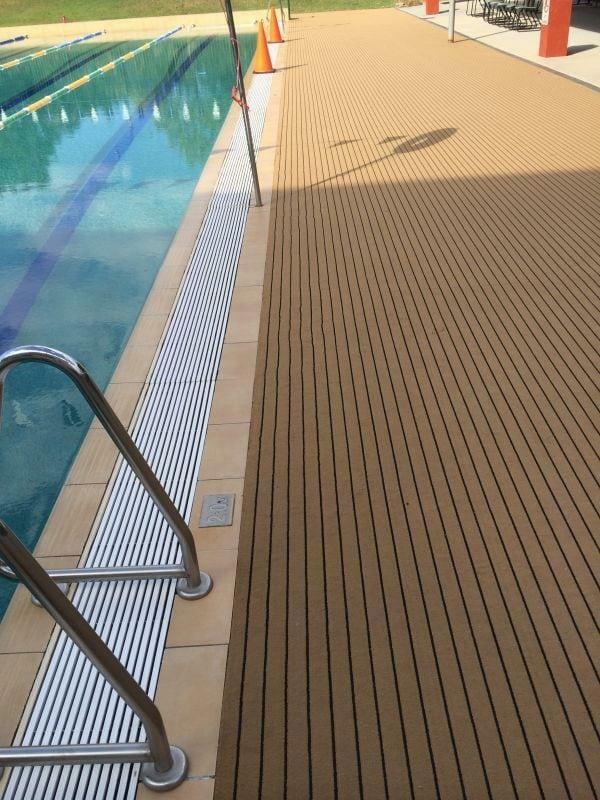 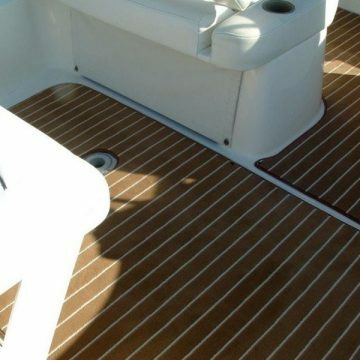 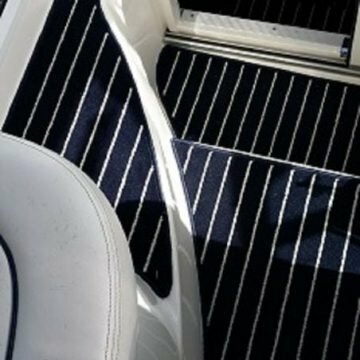 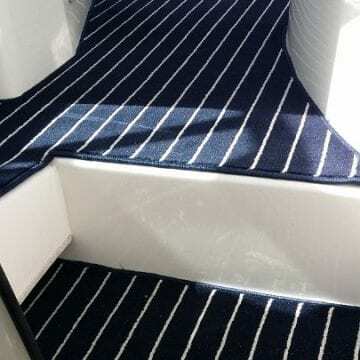 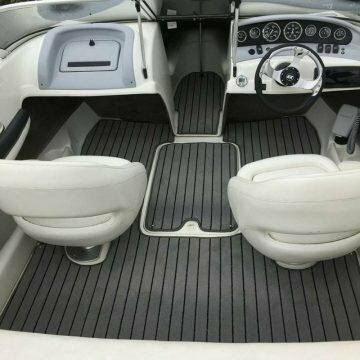 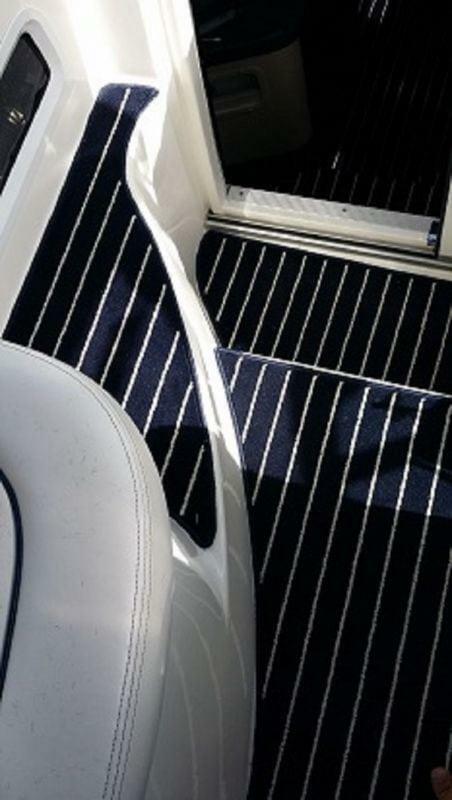 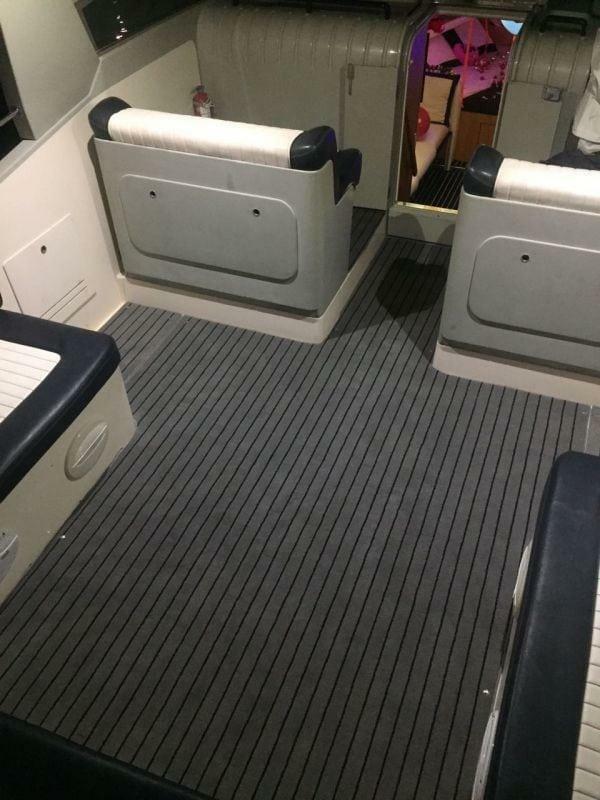 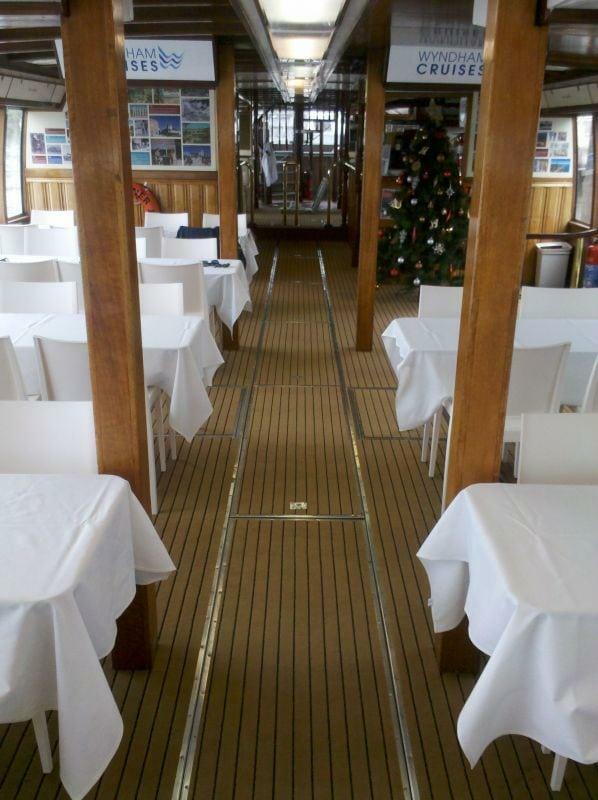 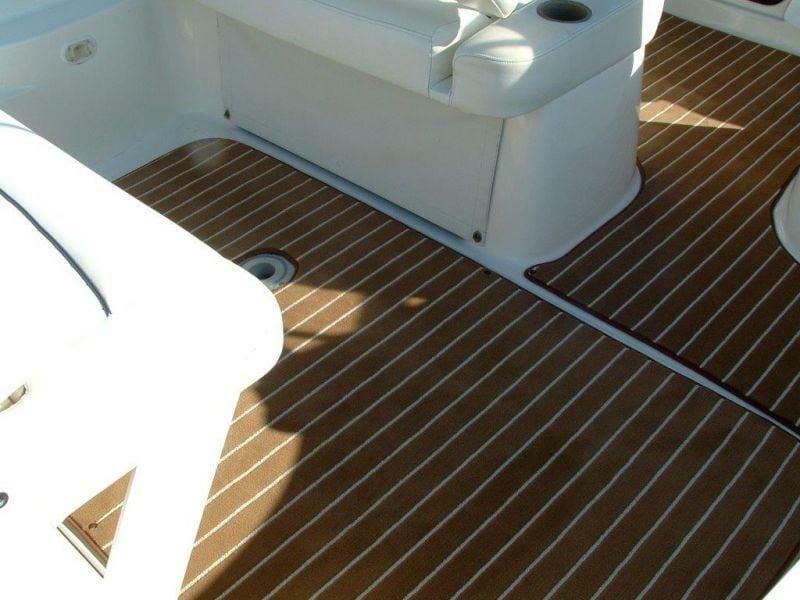 Boat carpet decking and flooring. 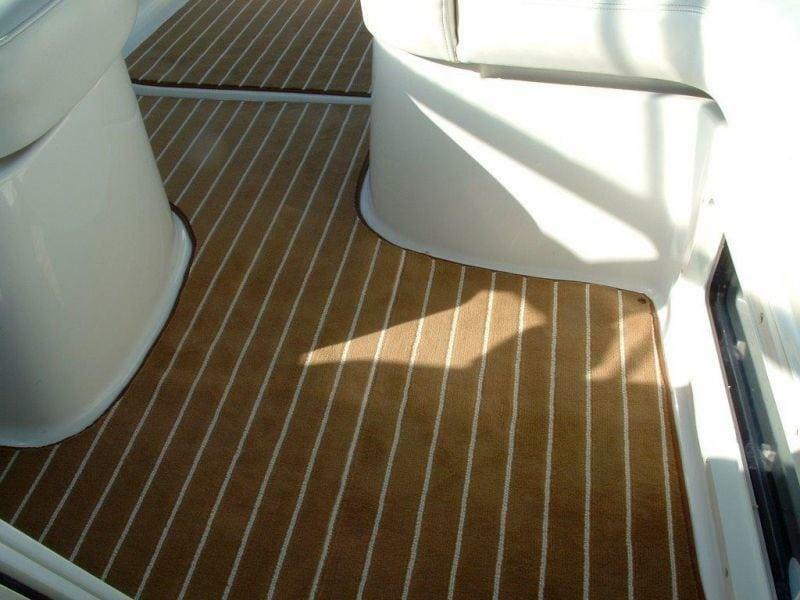 All Carpet Capers products are manufactured to the highest quality standards. 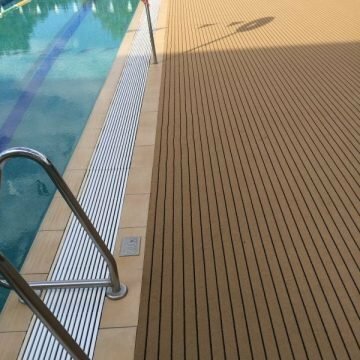 Made tough to withstand harsh environments and sun, salt water and chlorine. 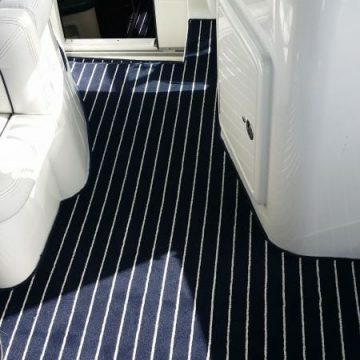 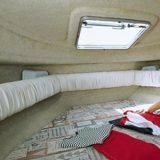 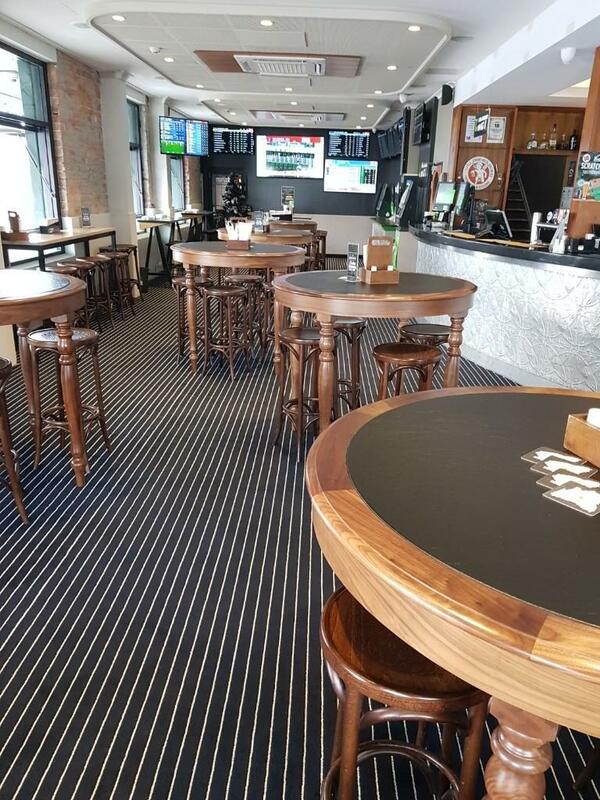 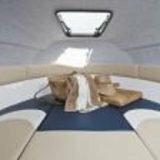 You can trust our marine carpets, boat floor coverings to keep your boat, pontoon, and outdoor living areas looking great. 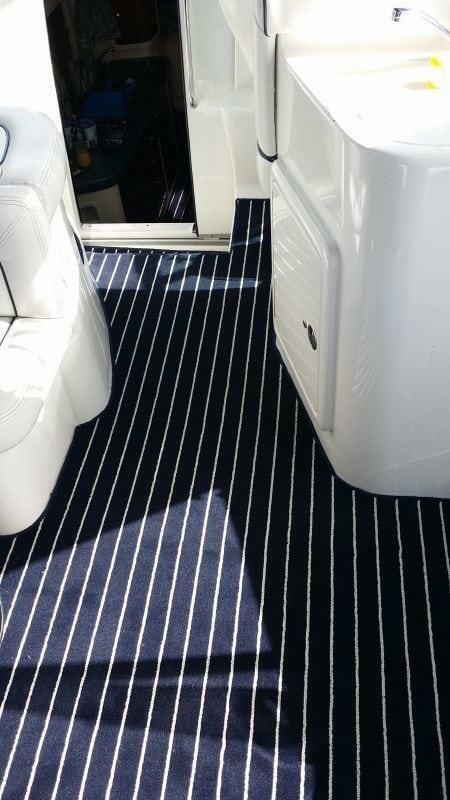 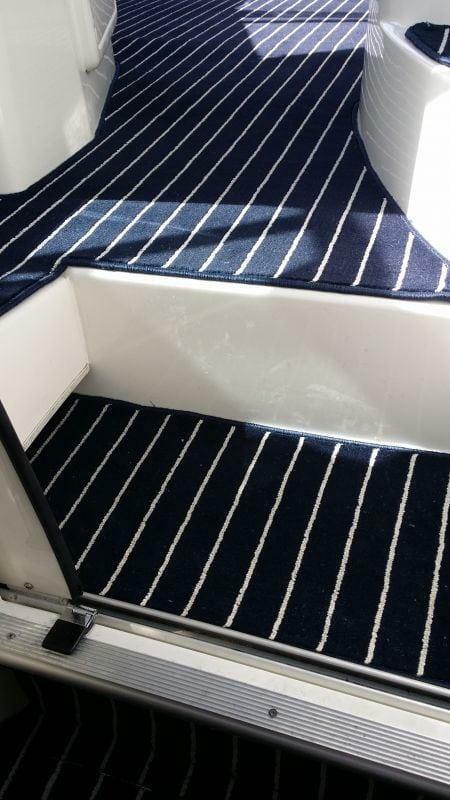 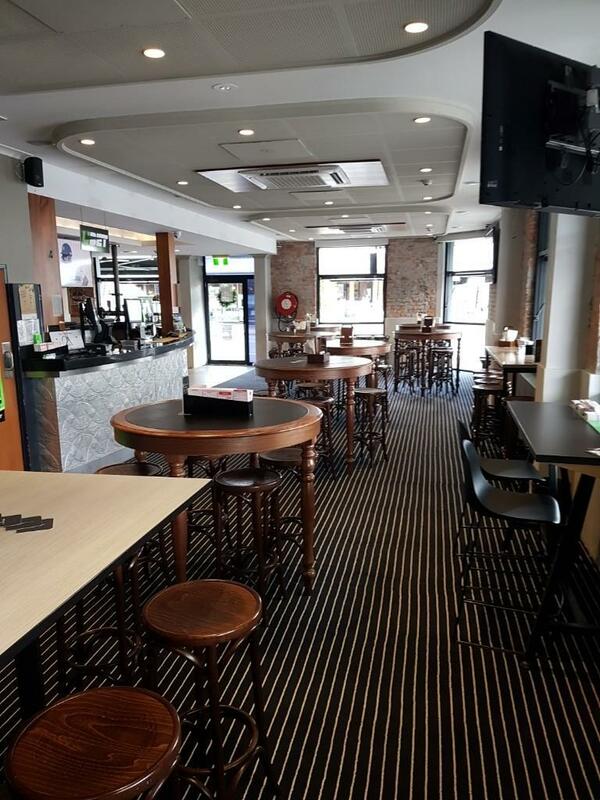 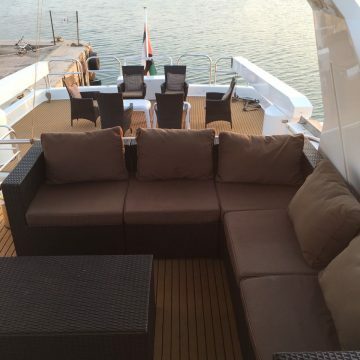 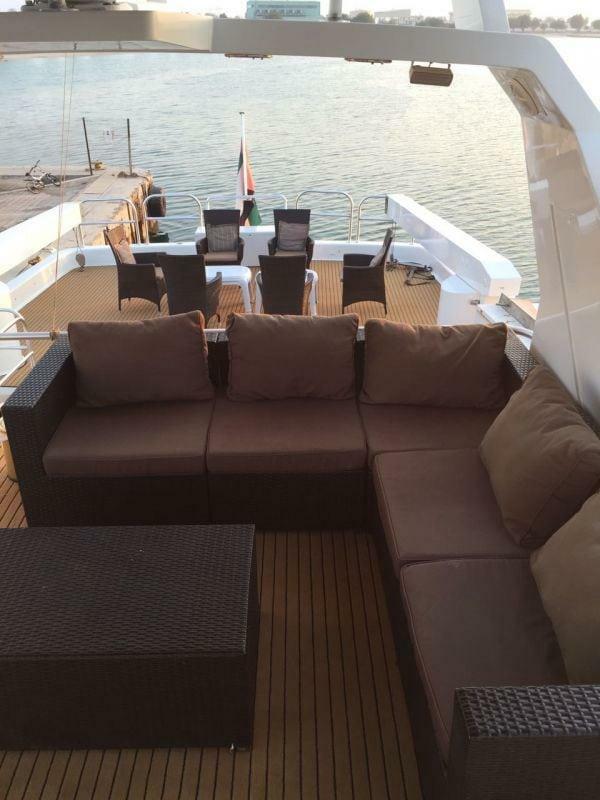 Thank you so much Carpet Capers, We purchased navy/white marine carpet Teak off you in February & we have finished the installation & wanted to show you how great this product finishes off our boat. 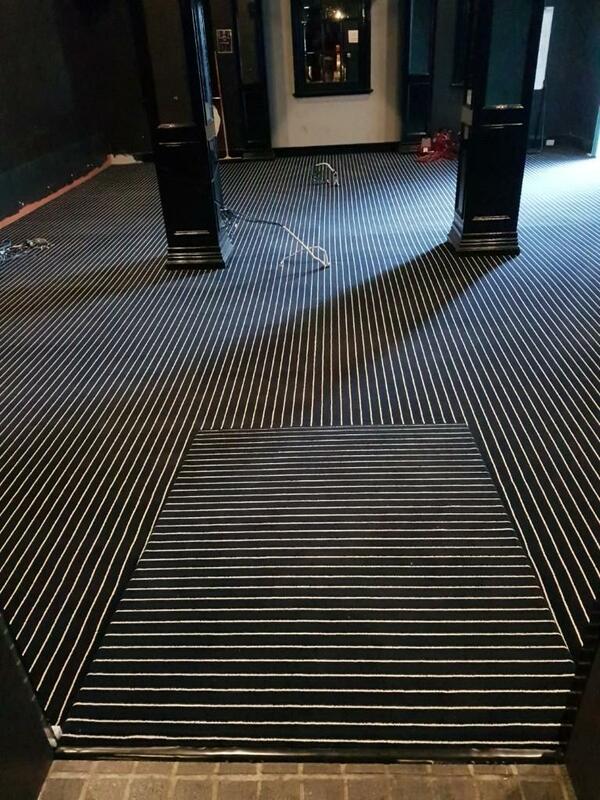 We are getting a lot of complements, we will be referring you to all. 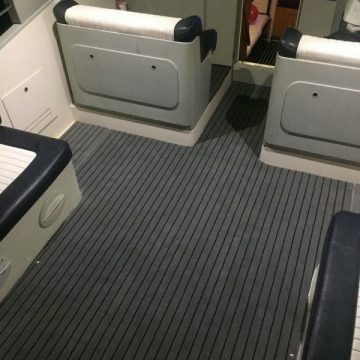 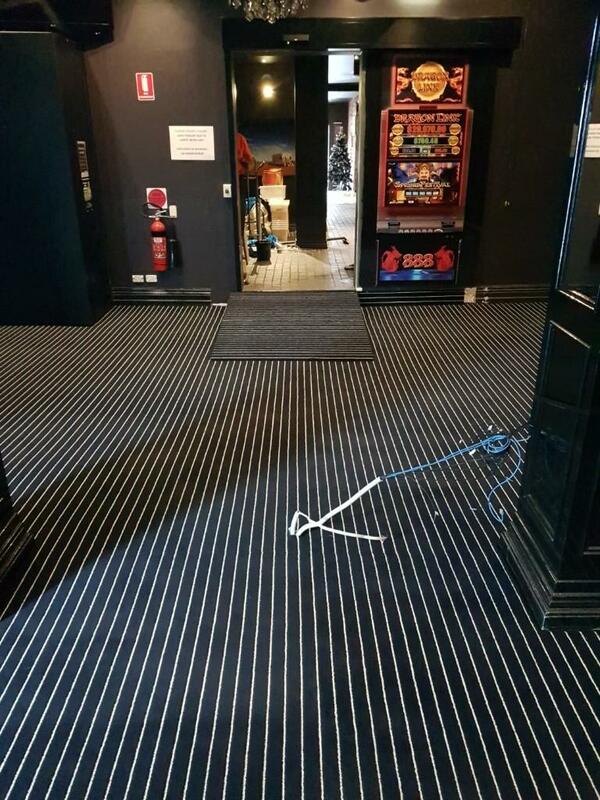 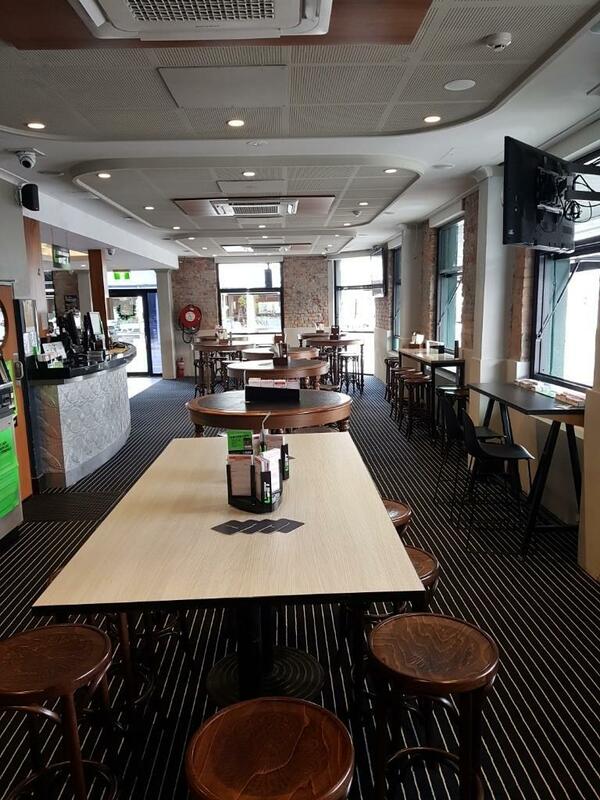 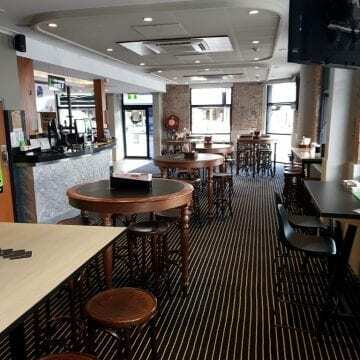 I couldn’t be happier with the marine carpet & service you provided. 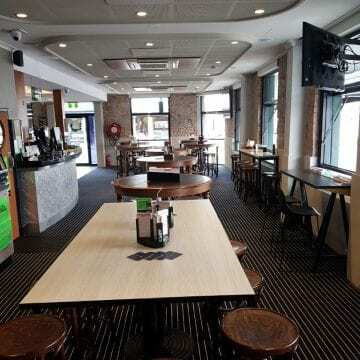 Thanks Heaps, Julie & Steve.